Birds of Prey is certainly on a roll building its cast. According to Geeks Worldwide, an audition tape has been released by Omega Underground for the upcoming film. The role of the police officer currently titled “Lopez”, who in the tape is speaking to another officer named “Evans”. 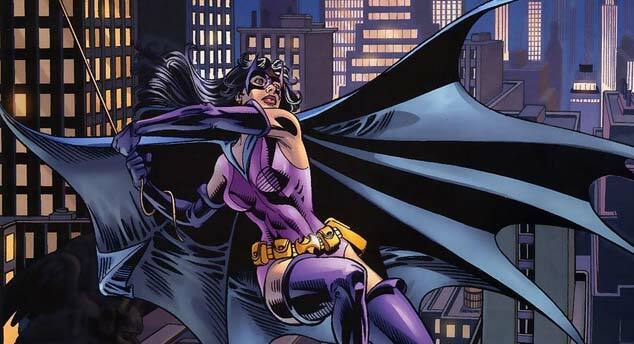 This “Lopez” character is believed to be Gotham City detective Renee Montoya, who is an LGBTQ character in the comics. Producer and star Margot Robbie’s statements of diversity and inclusion for Birds of Prey lead me to believe that this character will be portrayed faithfully. In fact, the other officer mentioned in the tapes is referred to as “baby” by “Lopez”, which could very well imply a romantic relationship. According to the tapes, there is a description of a murder crime scene with the mention of a “new female assassin that uses a crossbow as someone has been killed and the body as an arrow in their throat”. This crossbow bearing assassin has clearly been deduced to be Huntress, though which iteration of the character remains unknown. An even bigger tease from the tapes is seen with the mention of the name of another crime figure, Cecil Rockus, who is believed to be a cover name for Roman Sionis a.k.a. Black Mask. This is exciting in terms of expanding the world of crime within Gotham City, especially since other crime families have been revealed to exist in this film, according to Geeks Worldwide. Expectations for this film are rising, especially since Robbie teased a possible R-rating. Could this be the movie where we finally explore other rich story lines within Gotham City that don’t star the usual Batman? Are we getting dialogue more in line with the Batman Telltale games? Who do you want to see most in Birds of Prey? Tweet with us over on @SuperBroMovies! Filming is expected to begin on January 15th in Los Angeles. A release date for Birds of Prey has yet to be made official.